Hose and Fittings, Inc serves a variety of markets, a few which are highlighted here. Please don’t hesitate to contact us for all your hose and fittings needs. 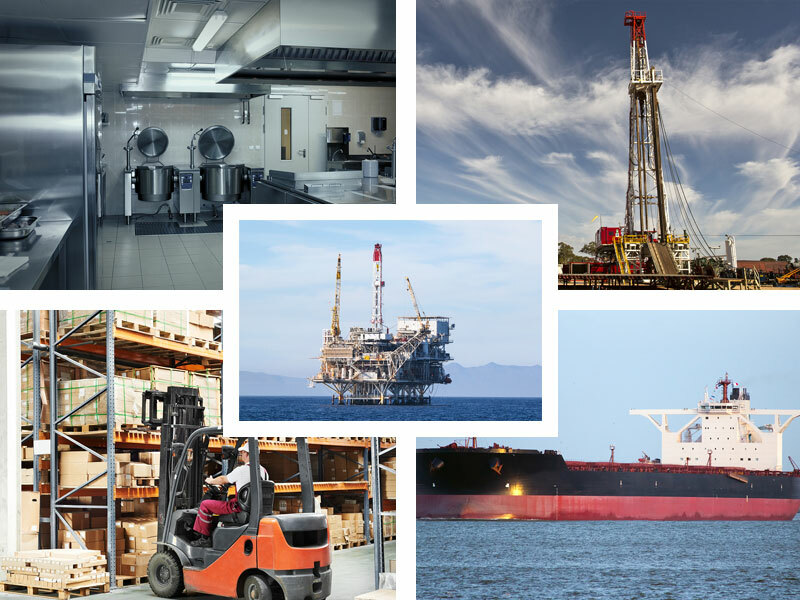 Subsea Drilling Controls – Hose & Fittings, Inc. is a leading supplier of Hotlines and BOP Control Bundles in the subsea drilling controls market. With continuous lengths available exceeding 13,500’, HFI has your control needs covered. HFI also provides an ultra-low volumetric expansion hose, which is key for response time in such long lengths. In addition to the hoses themselves, HFI is also your source for all fittings, equipment, and tooling needed to maintain such products. Subsea Production Controls – Hose & Fittings, Inc. specializes in subsea production controls. Throughout the years, operators and contractors have continued to call on HFI as a proven, reliable source for their subsea hydraulic needs. With over 18 years of subsea experience, HFI has successfully provided Hydraulic Flying Leads (HFL) on over 100 different projects from 300’ to 10,000’ water depths. With engineers on staff, HFI is fully capable of handling these projects in a turnkey scope. HFI offers a wide range of thermoplastic and High Collapse Resistant (HCR) hoses that are API 17E qualified, and is capable of terminating to any stabplate/MQC. Offshore Services – Hose & Fittings, Inc. has technicians on staff ready to be deployed worldwide to service its products. Whether it is a simple repair job on a hotline or a complicated splice job on a BOP control bundle, HFI can assist with all of your offshore repair needs. HFI will perform the repair, witness the pressure test and provide a test certificate certifying the hose fit for use. In addition to repairing and recertifying hydraulic hoses and bundles, HFI also is capable of providing services in other areas as well. Contact us for more information on specific requests. Hose & Fittings, Inc. has 30+ years experience dealing with EPC firms. With engineers on staff to review technical project requirements, you can be certain that HFI will provide the product that is right for the job. In addition to meeting technical requirements, HFI also has extensive experience providing documentation packages per customer requirements. Hose & Fittings, Inc. got its start providing hoses to the transportation industry. Whether it’s a chemical transfer hose on a tanker truck or a dock hose on a barge, HFI is your source for transfer hoses. HFI has also worked closely with key manufacturer’s to develop a transfer hose designed specifically for use in the offshore drilling environment. By offering abrasion resistant, large bore high pressure hoses HFI has become a leading supplier of hoses to the transportation industry. Hose & Fittings, Inc. has FDA approved food and beverage hoses available. When cleanliness matters, HFI is your source for food grade hoses. Hose & Fittings, Inc. stocks miles of hose for general purpose air, water, and industrial applications. We also have an extensive selection of fittings and adapters for use in this market as well. If you need a quick turnaround on general industrial products, our will call staff is on hand ready to assist.